Home / ACADEMIC READING / IELTSDATA READING PASSAGE 122-DOGS – A LOVE STORY. A. Genetic studies show that dogs evolved from wolves and remain as similar to the creatures from which they came as humans with different physical characteristics are to each Other, which is to say not much different at all. ‘Even in the most changeable mitochondrial DNA markers — DNA handed down on the mother’s side — dogs and wolves differ by not much more than one percent,’ says Robert Wayne, a geneticist at the University of California at Los Angeles. dogs of some sort began breaking away about 100,000 years ago. Wolf and early human fossils have been found close together from as far back as 400,000 years ago, but dog and human fossils date back only about 14,000 years, all of which puts wolves and/or dogs in the company of man or his progenitors before the development of farming and permanent human settlements, at a time when both species survived on what they could scratch out hunting or scavenging. C. Why would these competitors cooperate? The answer probably lies in the similar social structure and size of wolf packs and early human clans, the compatibility of their hunting objectives and range, and the willingness of humans to accept into camp the most Suppliant wolves, the young or less threatening ones. D. Certain wolves or proto-dogs may have worked their way close to the fire ring after smelling something good to eat, then into early human gatherings by proving helpful or unthreatening. As wandering packs of twenty-five or thirty wolves and clans of like numbered nomadic humans roamed the landscape in tandem, hunting big game, the animals hung around campsites scavenging leftovers, and the humans might have used the wolves’ superior scenting ability and speed to locate and track prospective kills. At night, wolves with their keen senses could warn humans of danger approaching. E. Times might not have been as hard back then as is commonly thought. In many instances food would have been plentiful, predators few, and the boundaries between humans and wildlife porous. Through those pores slipped smaller or less threatening wolves, which from living in packs where alpha bosses reigned would know the tricks of subservience and could adapt to humans in charge. Puppies, in particular, would be hard to resist, as they are today. This was a union born and a process of domestication began. F. Over the millennia, admission of certain wolves and proto-dogs into human camps and exclusion of larger, more threatening ones led to the development of people-friendly breeds distinguishable from wolves by size, shape, coat, ears, and markings. Dogs were generally smaller than wolves, their snouts proportionally reduced. They would assist in the hunt, clean up camp by eating garbage, warn of danger, keep humans warm, and serve as food. Native Americans among others ate puppies, and in some societies, it remains accepted practice. G. By the fourth millennium BC Egyptian rock and pottery drawings show dogs being put to work by men. Then, as now, the relationship was not without drawbacks. Feral dogs roamed city streets, stealing food from people returning from market. Despite their penchant for misbehavior, and sometimes because of it, dogs keep turning up at all the important junctures in human history. H. In ancient Greece, 350 years before Christ, Aristotle described three types of domesticated dogs, including speedy Laconians used by the rich to chase and kill rabbits and deer. Three hundred years later, Roman warriors trained large dogs for battle. The brutes could knock an armed man from his horse and dismember him. I. In seventeenth-century England, dogs still worked, pulling carts, sleds, and plows, herding livestock, or working as turn-spits, powering wheels that turned beef and venison over open fires. But working dogs were not much loved and were usually hanged or drowned when they got old. ‘Unnecessary’ dogs meanwhile gained status among English royalty. King James I was said to love his dogs more than his subjects. Charles II was famous for playing with his dog at Council table, and his brother lames had dogs at sea in 1682 when his ship was caught in a storm. As sailors drowned, he allegedly cried out, ‘Save the dogs and Colonel Churchill? J. By the late nineteenth century the passion for breeding led to the creation of private registries to protect prized bloodlines. The Kennel Club was formed in England in 1873, and eleven years later the American Kennel Club (AKC) was formed across the Atlantic. ‘today the AKC registers 150 breeds, the Kennel Club lists 196, and the Europe—based Fédération Cynologique Internationale recognizes many more. Dog shows sprouted in the mid- 1800s when unnecessary dogs began vastly to outnumber working ones, as they do to this day. Unless that is, you count companionship as a job. 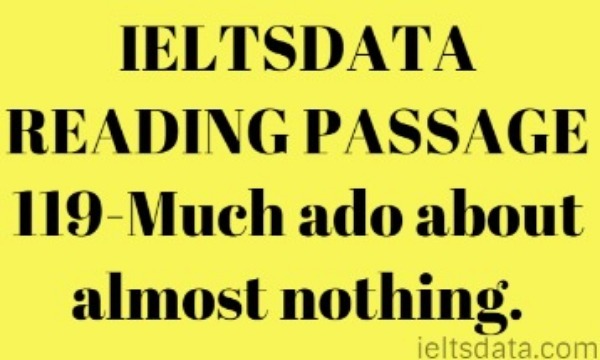 Reading Passage has ten paragraphs labeled A-I. Write the correct letters A-I in boxes 1-4 on your answer sheet. 1. Which paragraph explains how dogs became different in appearance from wolves? 2. Which paragraph describes the classification of dogs into many different types? 3. Which paragraph states the basic similarity between wolves and dogs? 4. Which paragraph gives examples of greater human concern for animals than for people? Which FOUR of the following statements are made in the text? Choose FOUR letters from A—H and write them in boxes 5-8 on your answer sheet. A. In a typical camp, there were many more wolves than humans. B. Neither the wolves nor the humans lived in one place for long. D. Humans chose the most dangerous wolves to help them hunt. E. There was very little for early humans to eat. F. Wolves got food from early humans. G. Wolves started living with humans when agriculture began. H. Early humans especially liked very young wolves. From the information in the text, indicate who used dogs in the ways listed below. Write the correct letters A—F in boxes 9-13 on your answer sheet. NB You may use any letter more than once. 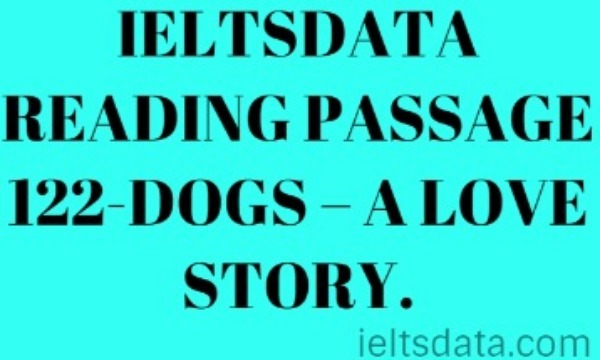 IELTSDATA READING PASSAGE 122-DOGS – A LOVE STORY. IELTSDATA READING PASSAGE 122-DOGS – A LOVE STORY. IELTSDATA READING PASSAGE 122-DOGS – A LOVE STORY. IELTSDATA READING PASSAGE 122-DOGS – A LOVE STORY. 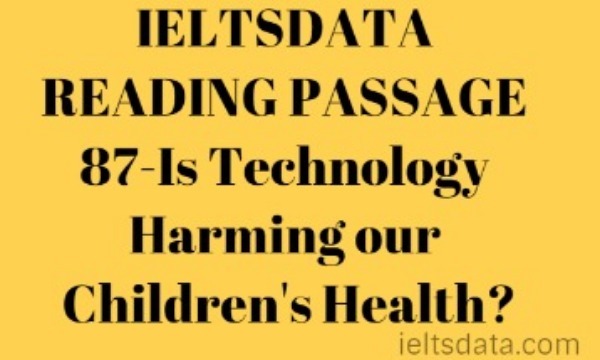 IELTSDATA READING PASSAGE 122-DOGS – A LOVE STORY. A recent newspaper article reported that a 14-year-old boy who seriously destroyed his school got the punishment to clean the streets, instead of being sent to prison. Do you think this is right, or do you think that such criminals should be sent to prison? Previous IELTSDATA READING PASSAGE 121-ASIA’S ENERGY TEMPTATION. 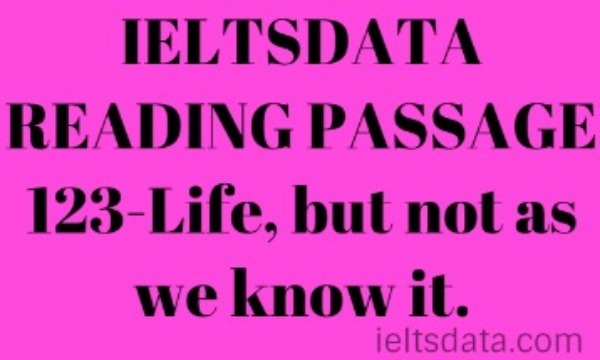 Next IELTSDATA READING PASSAGE 123-Life, but not as we know it.